Saturday 15th September was the continuation of the Southwest Coastal League (SWCRL) season in Teignmouth; with the league standings in close contention. 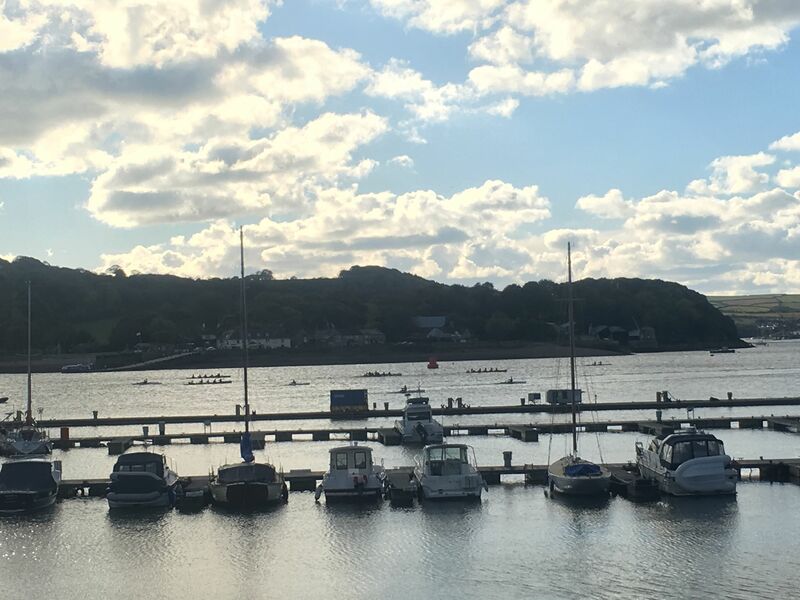 The waters were ready for Lead Weight 8 regatta hosted by Teignmouth Rowing Club, with participants from Mayflower Offshore Rowing Club, Exmouth Rowing Club, Torquay Rowing Club and Southampton. 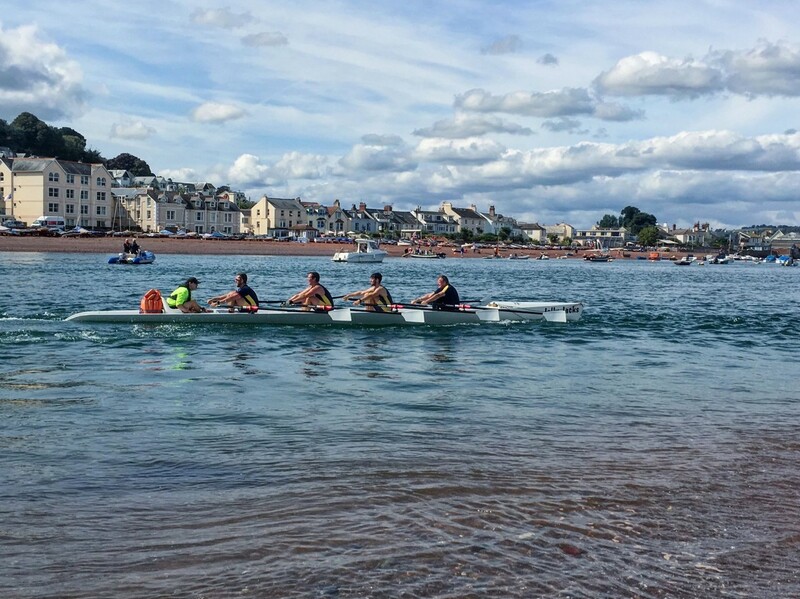 First was the Ladies 8km coxed quads starting from the end of the channel markers just off Teignmouth pier. The course then went to the sewer buoy, down to an inflatable buoy before returning back to the channel with the finish line at the Newquay Inn beyond Back Beach. 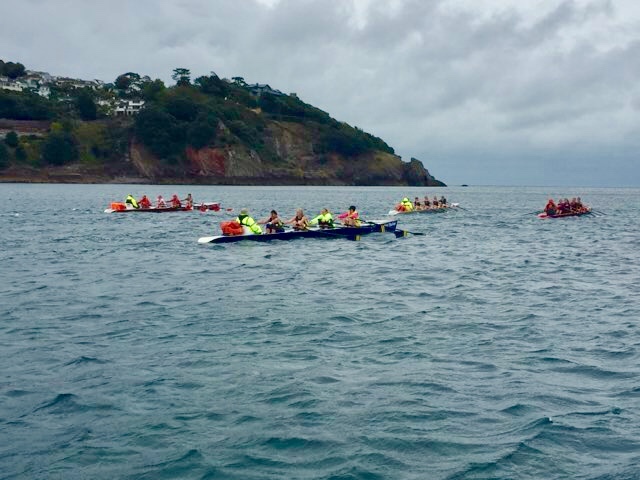 Eager to get racing and after a false start, the rowing commenced with Mayflower A, Exmouth A and Teignmouth A all fighting hard towards the first buoy where, Mayflower A rounding, Teignmouth A just missing their stern then took a blow to the side from the Exmouth A boat. With the six entries, Teignmouth A finished first in a time of 35:58, Exmouth A taking second only 30 seconds behind, followed by Mayflower A for third. 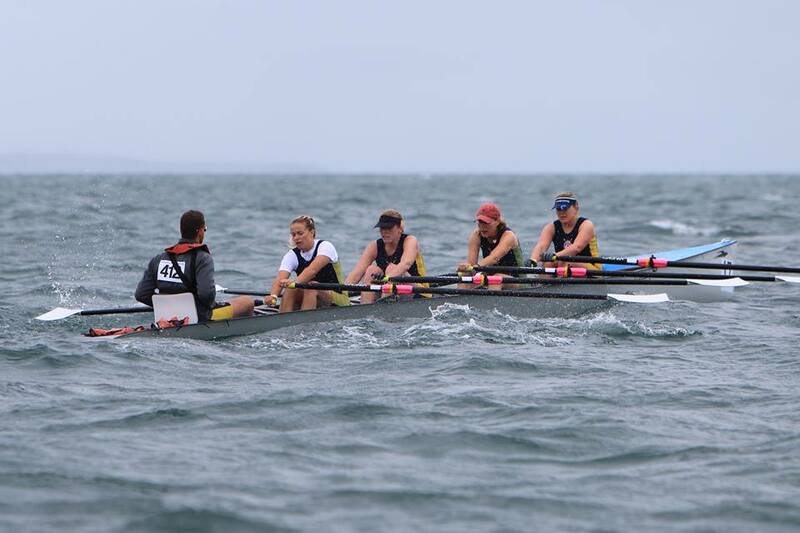 Spectators on Back Beach were treated to the closest battles of the season so far in the seven entries Men’s coxed quads, 8km. Mayflower A and Teignmouth A fighting hard at the front; Mayflower A victors in a time of 34:10 – six seconds ahead of Teignmouth. Third was between Exmouth A who finished just seven seconds ahead of Mayflower B. J. Chadaj of Southampton in a single finished in an impressive 52:50. 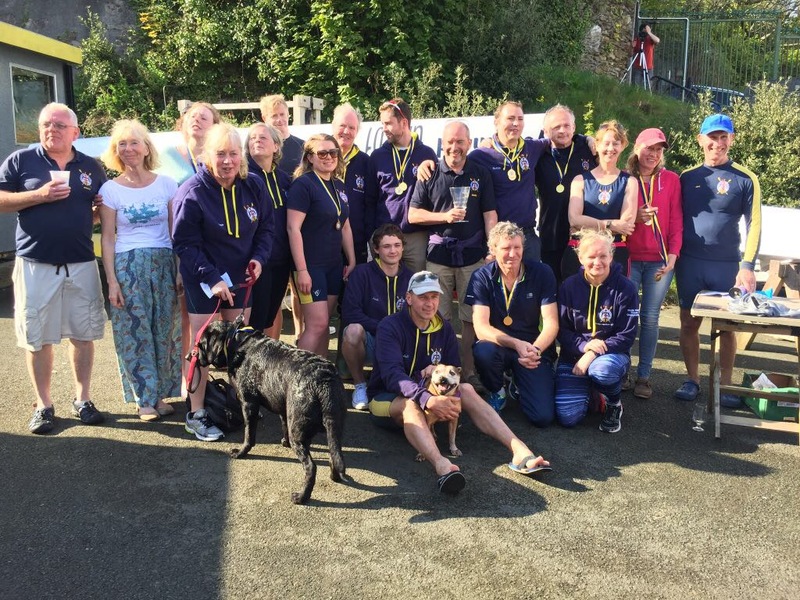 The Masters (50+) coxed quads, 4km was combined with singles and doubles racing totaling 11 entries. The Masters race started on rough waters with Mayflower coming third behind Teignmouth in second and Exmouth in first with time of 22:34. The singles was won by Exmouth with an impressive finish of 24:36. The last race with six entries was the Mixed coxed quads, 4km. The rough conditions brought Mayflower just 23 seconds behind Teignmouth team in a time of 23:03 and in front of Exmouth who claimed third place. 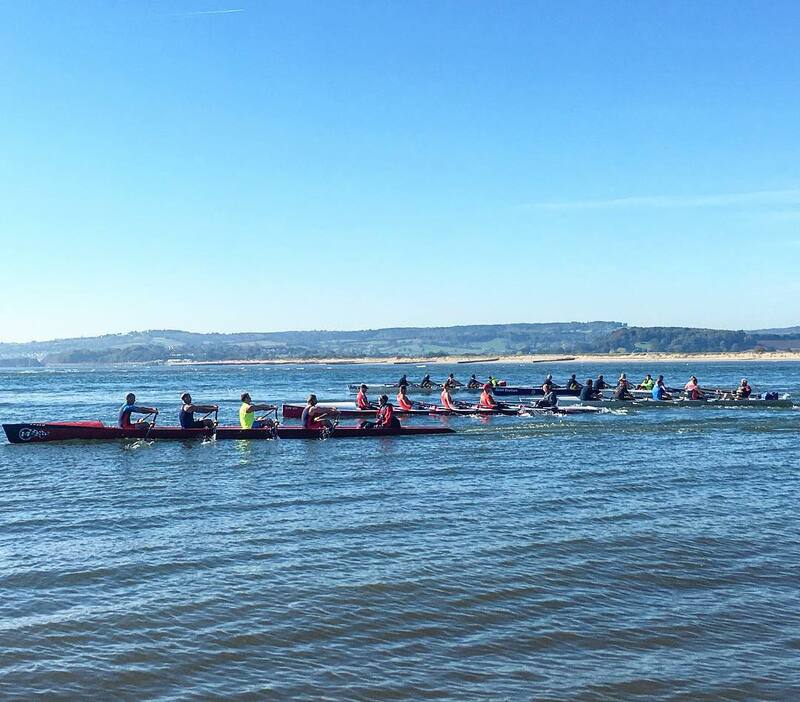 Our next SWCL regatta is in Torquay on 6th October. Join us for races and to support the teams. For more information or to join our club please contact us at secretary.morc@hotmail.co.uk.